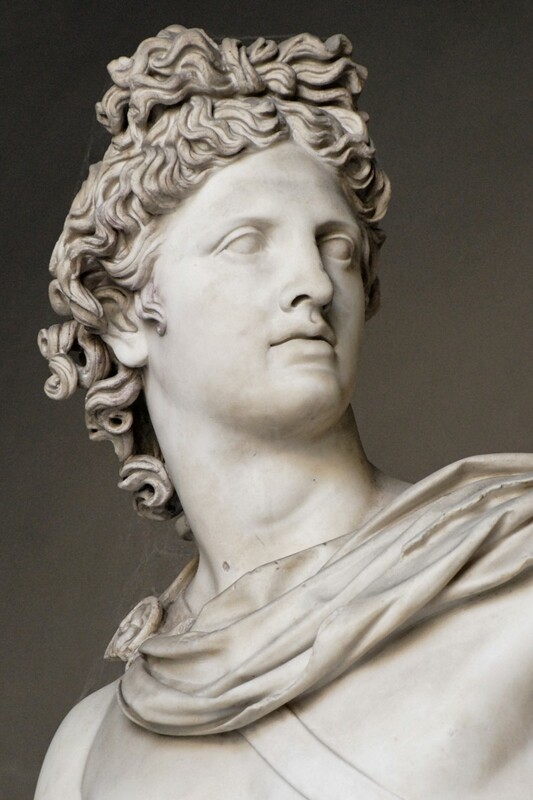 Apollo is often known as the Sun God or God of Light as well as being the God of Music. This is symbolised by a lyre or kithara which he is often seen playing in large deity scenes. 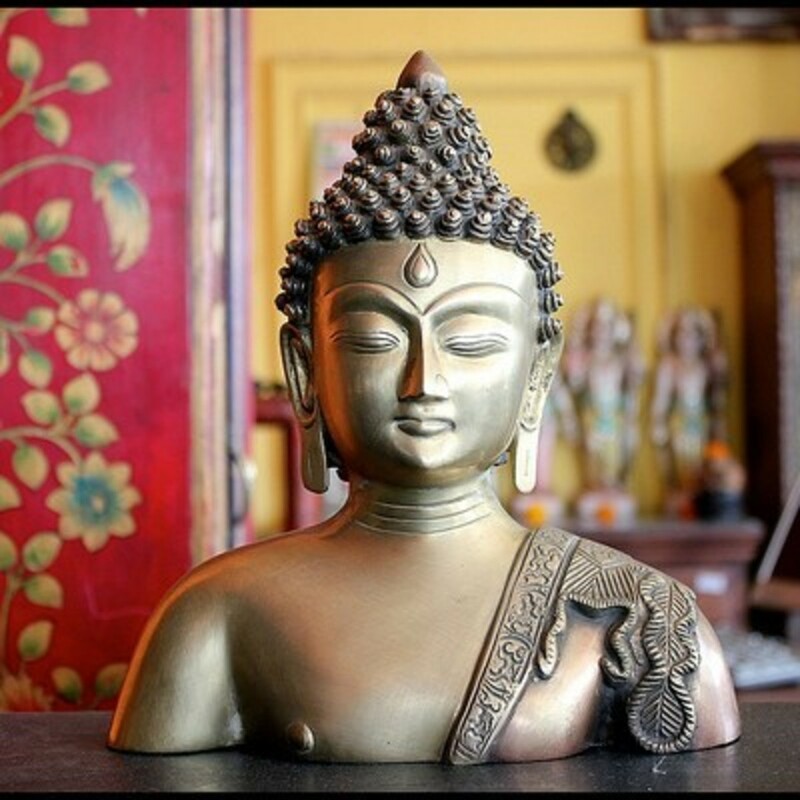 He is often known as the God of Prophecy and is connected with Health and Healing. These relate to his oracle at Delphi where people would go to get answers about their future and to be healed and purified from sins, and is easily recognised in pictures by a tripod. Other notable attributes of Apollo are a bow and arrow (which is a shared attribute with his sister Artemis) and he is often depicted wearing a laurel wreath. In many scenes throughout art, Apollo is depicted naked, especially in later Classical art and sculptures. In nearly all pictures of him he is beardless and is always youthful looking. 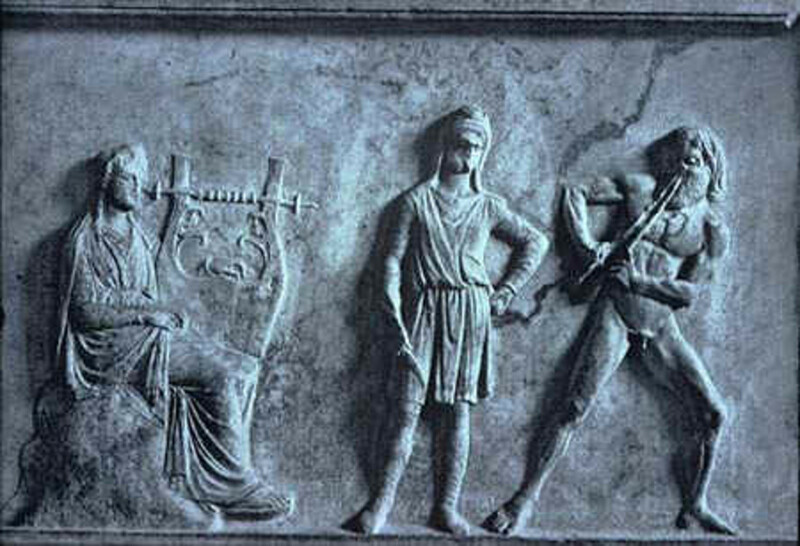 One exception is in the Trolios frieze of the Francois Vase where he is shown with a beard. This seems to be representing what was thought of as archetypal male beauty and embodies what would commonly have been thought of as attractive. 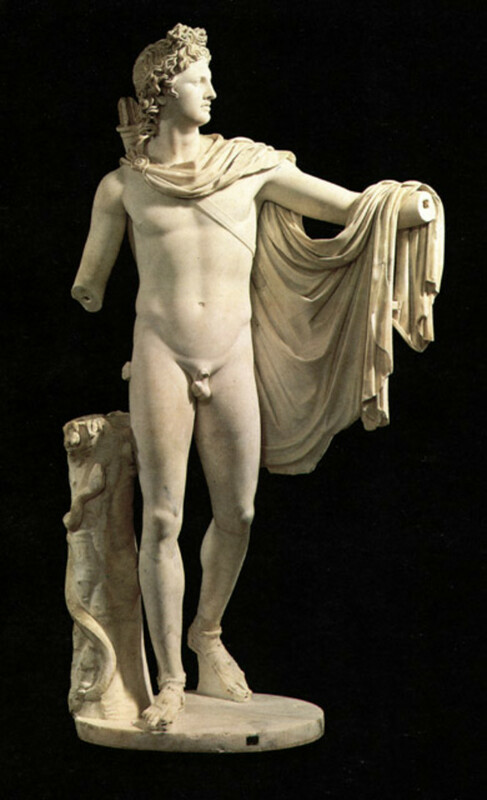 The statue Apollo Belvedere is the best portrayal of this idea of Apollo. He has these typical characteristics; young, beardless, naked. Although this statute is Roman, it is a copy of a fifth century Greek one. These characteristics fit with the claims in literary sources that he had many lovers, both male and female. Although we don’t see this shown so much in Art it builds on the image that we can see of him, highlighting this obvious attractiveness. Apollo frequently appears in art alongside his twin sister Artemis. 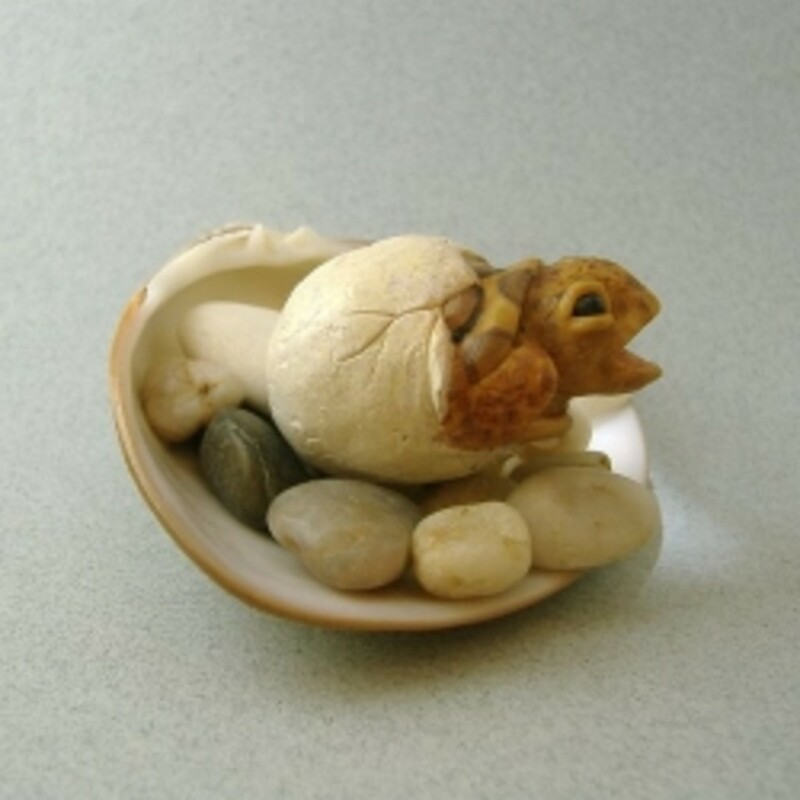 Many literary sources describe them as inseparable and this idea certainly comes across in art. There are numerous occasions where the two are shown fighting together against various different opponents. 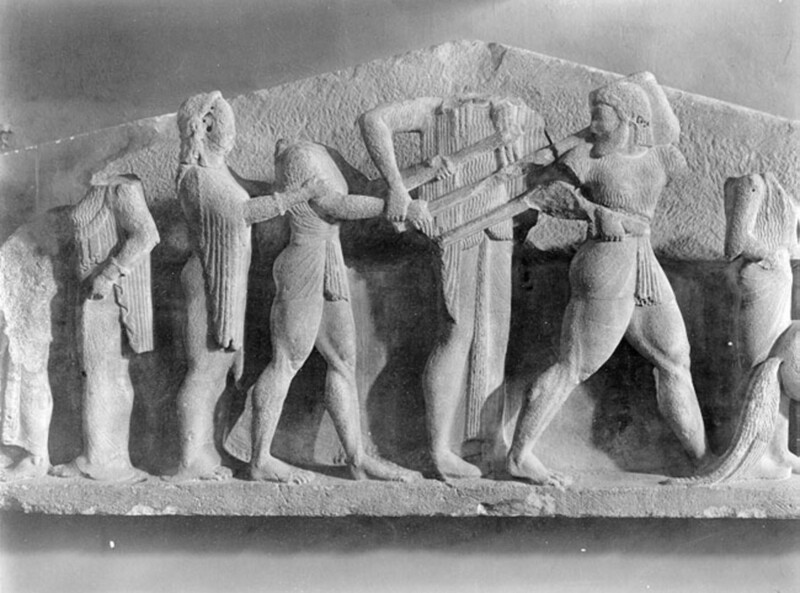 For example, on the North Frieze of the Siphnian Treasury at Delphi, Apollo and Artemis are fighting together in the Gigantomachy. Not only are they together but they are right next to each other mirroring each others stride and arm placement. They both carry their signature bows (Artemis is the Huntress Goddess), which is generally their choice weapon. They are most often portrayed with a bow by mid sixth century, before then it was not as common. In depictions of the fight for the tripod that Apollo has with Herakles (which I shall come back to later), Artemis is often there supporting Apollo. Apollo (and Artemis) are frequently seen in art coming to the aid of their mother Leto. The two most common examples of this are the death of Tityos and the killing of the Niobids. Tityos supposedly saw Leto and was completely enamoured by her, she called her children to her defence and they shot him down. In some pieces of art we do see Leto being harassed by Tityos and Apollo and Artemis with their bows, whereas in other pieces Leto is not present. This shows that her character is only of secondary importance and that Apollo and Artemis are the main ones who should be focused on. Again here we can see their use of bow and arrows as clearly their preferred weapon. The can be said of the depiction of the two with the Niobids who they slain because Niobe (their mother) boasted how she had more children than Leto. These family images tell us some very important things about Apollo’s character. The closeness that he has to his sister Artemis shows him to be loyal and protective. It is rare to see pictures classical art of other brothers and sisters with the same sort of relationship. This is similar to their defence of their mother Leto. The fact they always come to her aid shows a sense of family pride and shows Apollo (and Artemis) to be particularly loving and caring. 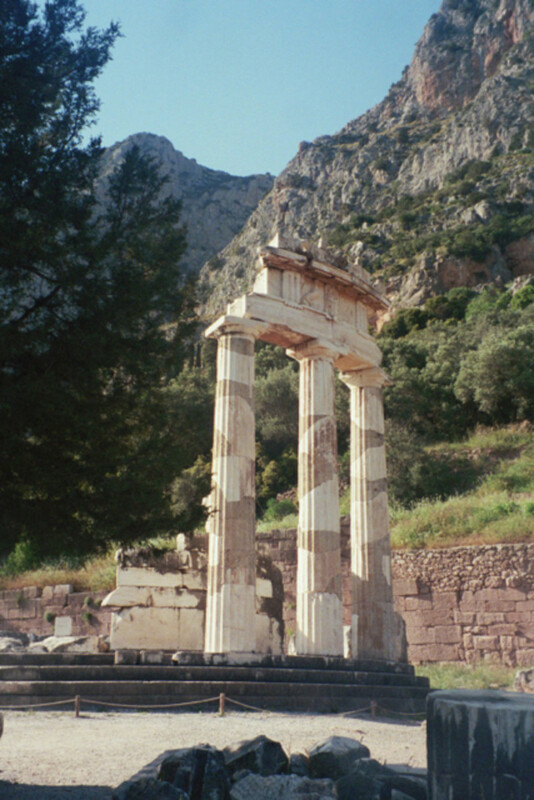 The Oracle at Delphi is depicted frequently in Art and nearly every picture of it relates to Apollo in some way. The temple at Delphi is easily recognisable as it has ionic columns and almost always has the tripod somewhere in it. Apollo is often shown carrying or sitting on the tripod even in scenes where the temple isn’t there. A story that is frequently shown is the one of Herakles trying to steal the tripod from Apollo in order to set up his own oracle. 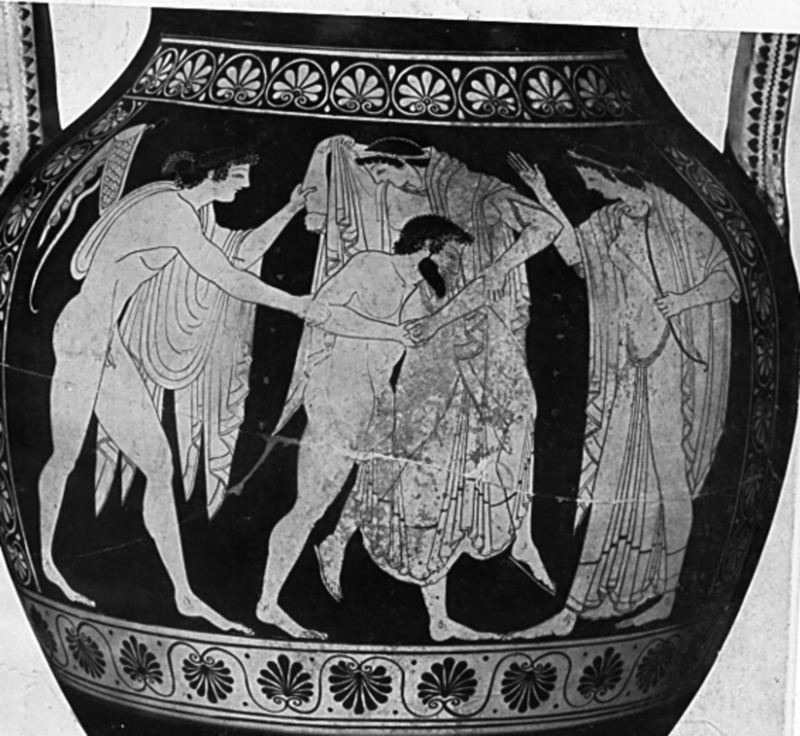 This shows Apollo as being fiercely defensive as Zeus is shown coming to separate the two. A notable portrayal of this is on the East Pediment of the Siphnian Treasury at Delphi where we see all of this as well as Artemis supporting Apollo with her hand on his arm. Another famous story involving Apollo and Delphi that is often shown on red-figure vases around 440BC is Orestes taking shelter in the temple after killing to avenge his father (Agamemnon’s) death. He goes to Delphi so he can be purified by Apollo and protected from the Furies. One of the most notable things about Apollo is his love of music. In many scenes with large groups of deities, Apollo can be seen carrying a lyre or kithara which he acquired from Hermes when Hermes was a baby. For example, at the wedding of Peleus and Thetis he is often seen as part of the procession or at the head of it, playing his kithara. Apollo’s love of music can also be seen by the way he is seen frequent in competition with others over who can play better. Several sculptures can be found which show Apollo and Marsyas in competition over who can play their instrument better. What we don’t seem to see much of however, is the results of the competition where Apollo wins and gets his revenge over Marsyas for challenging him. Moving away from the image we’ve had of Apollo so far as gentle and caring, there is another aspect to him. You can also see a more violent side that can be read into what we have interpreted as caring. By this I mean, for example, the images of him killing the Niobids or Tityos shows violence and on top of that also show the desire for revenge, particularly in the case of Niobe. There are many images of Apollo even as a child, killing the python at Delphi. 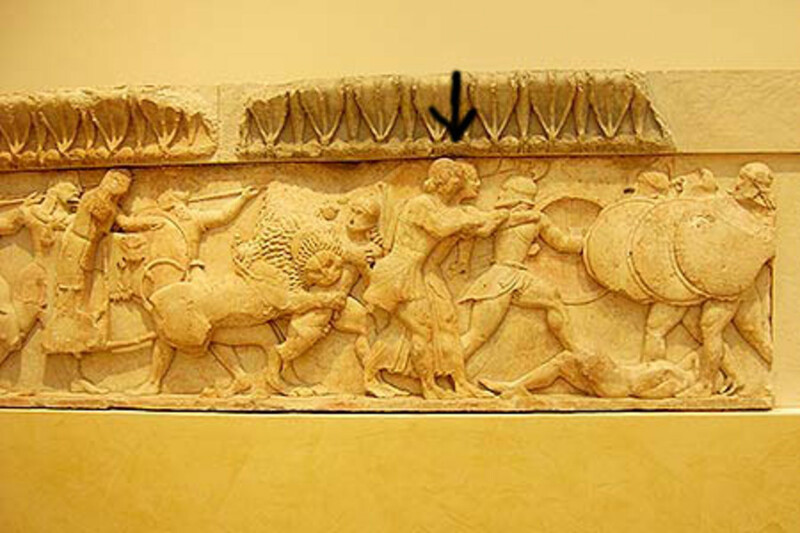 Some pots even show Apollo in the arms of Leto with a bow and arrow in hand, ready to kill the python. This shows a definite sign of ruthlessness and violence which could be interpreted more positively to show how desperate Apollo was to get the temple at Delphi and highlights its importance. The death of Achilles is not a common depiction in archaic and classical art, but when it is shown, Apollo is often there in the background. He was on the side of the Trojans and literary sources (backed up by art) tell us that Apollo guided Paris’ arrow into Achilles’ heel. It could be argued that as part of a war, this death does not show that Apollo actually has an especially violent side. Perhaps a more conclusive example would be the flaying of Marsyas that I have previously mentioned. This death does not seem particularly necessary and shows Apollo to be vain as he could not bear to be challenged, having to be the best. Art generally shows the flaying of Marsyas rather than the competition itself. 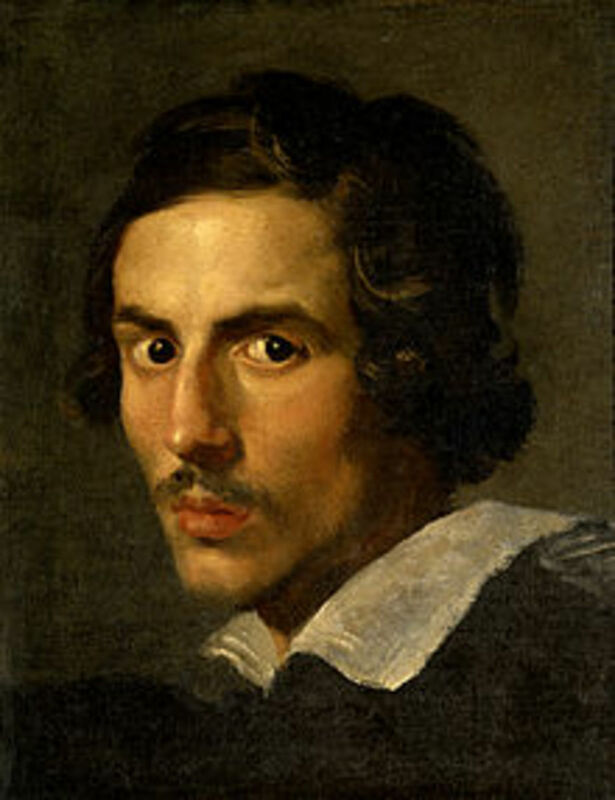 In conclusion, most depictions of Apollo in art present him in a favourable, positive light. We see him fiercely protective over his family, something that we can learn a lot more of through literature (although there is not much in the way of art) with the death of his son Asclepios, who’s death he tries to avenge. Very often he is seen with his mother and sister, which shows him as loving and caring. In battle he is nearly always side by side with Artemis and they are often mirroring each others positions. When not in battle it is common to see him naked and he is always portrayed as an attractive youthful man, beardless. He often wears a laurel wreath, which many sources claim links to one of his lovers. 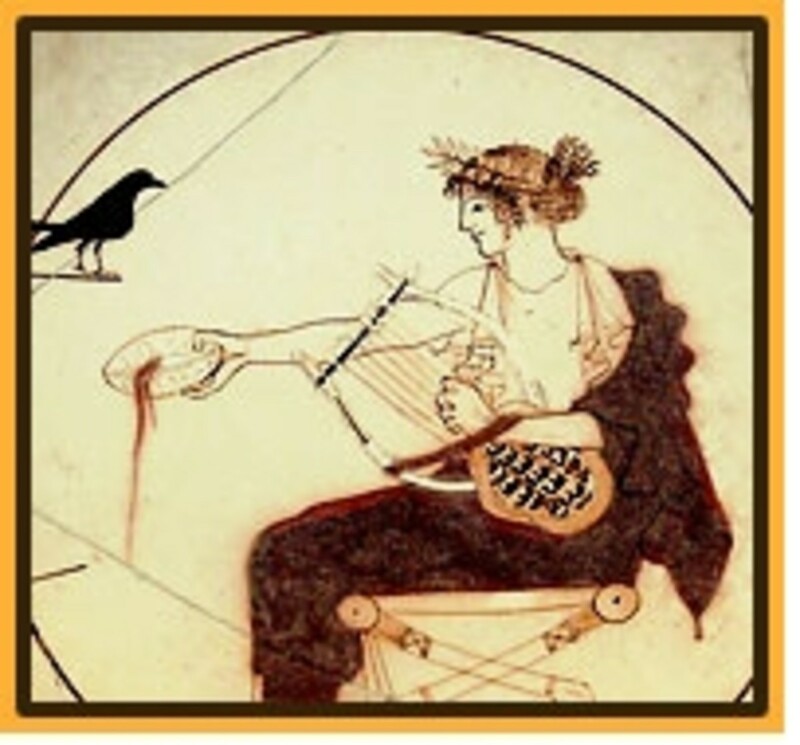 Music and the Oracle at Delphi give him characteristics that make him distinguishable from other deities, as he is often recognisable because he has either some form of musical instrument (a kithara or lyre) or carrying the tripod from the temple. 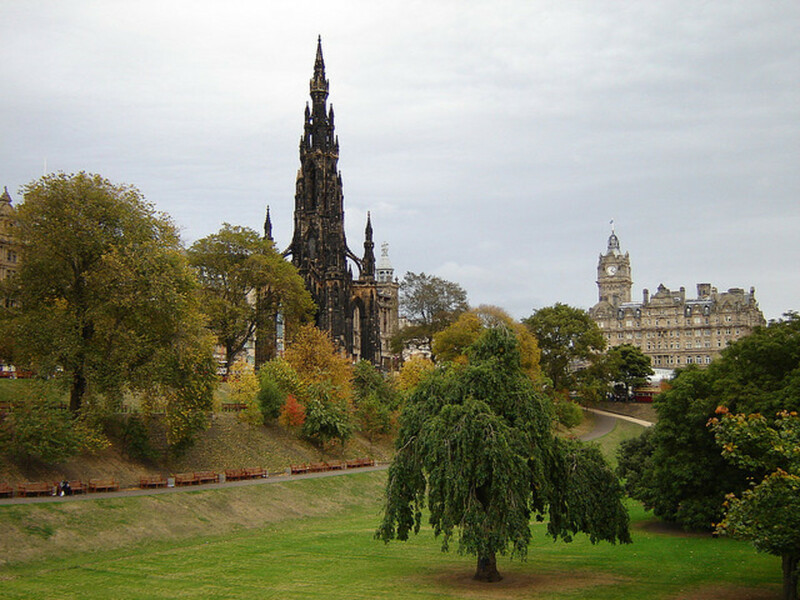 The Scott Monument in Edinburgh : The Gothic Rocket.